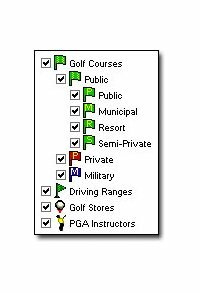 Are you an avid golfer who wants to fill up your head with everything golf, including golf course data from all over the US? If so, then the Never-Search for Golf software is perfect for someone like you. Never-Search for Golf is a golf course location guide, containing a complete and comprehensive array of golf course contact information, course data and location information… all mapped with unprecedented accuracy to verified coordinates. Designed to appeal to travelers desiring to locate and qualify a golf course in an unfamiliar area, and to golfers who want to expand their area of play. The Personal and Business editions retail for $19.95 and $495, respectively.